To celebrate their 20-year anniversary, Prahran institution David’s will be hosting a two-part series, kicking off with a birthday party on Wednesday 12th September and a retrospective degustation on Wednesday 17th October, which also previews the next menu direction. 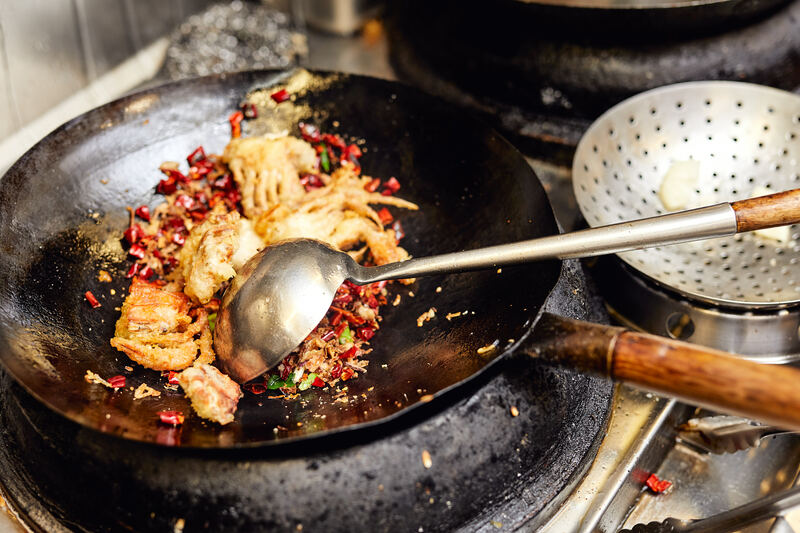 Paying homage to Zhou’s hometown of Zhouzhuang, the party will feature Spring Bay mussels and pipis, Queensland King prawns, soft-shell crab, Pacific Oysters and Moreton Bay bugs, served in a stand-up feast like no other. Celebrate the occasion as David’s continues to put tradition on the table. Capacity for the stand-up event is 100 people. A special degustation on Wednesday 17th October will honour famous past and present dishes to reflect the restaurant’s new era of dining. Lucky guests will also get to taste new dishes at the nine-course sit-down affair. Dishes like the 8-treasure duck wrapped in sticky rice and Long jing green tea sautéed prawns will re-acquaint guests with reminisced classics. Also featured is the Shanghai sticky pork belly, braised for twelve hours then served with baby chat potatoes, a signature dish which has become a current menu must-have. Items making their culinary debut include a steamed sea perch fillet in a native spinach broth and a classic Chinese dish, Gu Lao Rou chicken, known for its plum and pineapple notes.